The album will be released in North America on July 12th by Nuclear Blast Records. The band will self-release it in their native Poland. Carnival Is Forever is the follow-up to 2006’s Organic Hallucinosis and was produced by Wacek Kiełtyka and sound engineered by Malta Arkadiusz Malczewski. Drums mixing duties were handled by Daniel Bergstrand (BEHEMOTH, MESHUGGAH, DIMMU BORGIR, KEEP OF KALESSIN, DEFLESHED). The author of the album’s lyrics is music journalist Jarek Szubrycht, author of No Mercy – the world’s first biography of thrash metal legends SLAYER. 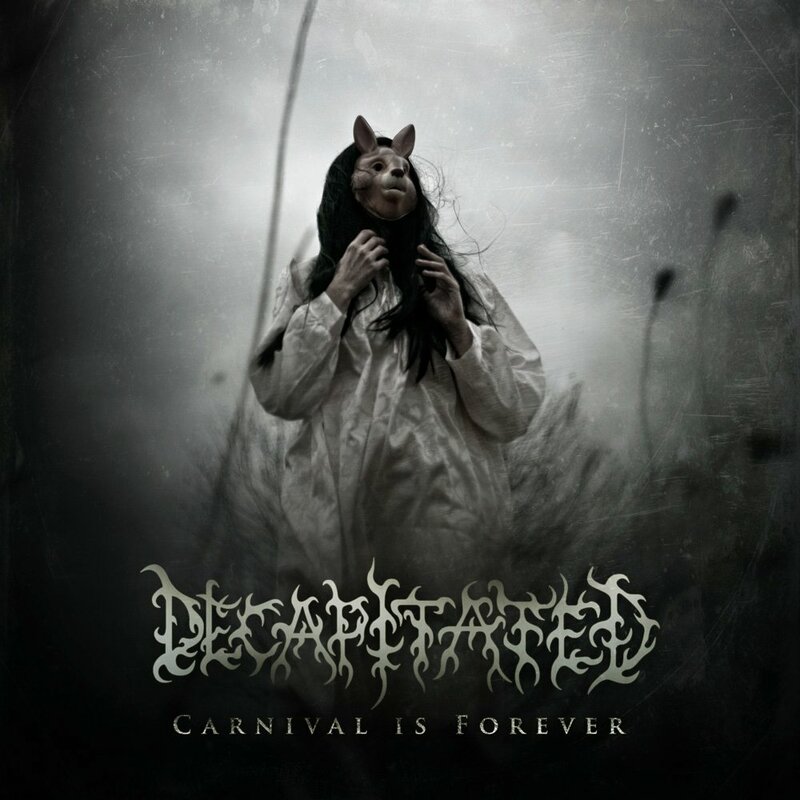 DECAPITATED’s line-up includes: Wacław “Vogg” Kiełtyka on guitar, Kerim “Krimh” Lechner (Thorns Of Ivy, Tone Intimacy) on drums, Rafał Piotrowski (Ketha, Forgotten Souls) on lead vocals, and Filip “Heinrich” Hałucha (Vesania, Rootwater, Unsun, Masachist) on bass. Visit DECAPITATED online at www.DECAPITATEDBAND.net, www.facebook.com/DECAPITATED, www.myspace.com/DECAPITATED, and Twitter.com/DECAPITATED.